This is a class listing by Good School Learning Hub. To sign up, just book now and the tuition centre will liase with you directly! 2) Notes are prepared by teachers. 3) Interactive classes using SMART technology. 4) Small class sized and conducive environment. 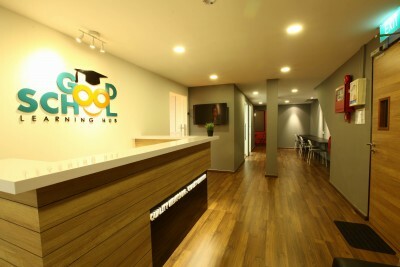 5) Study area catered for students to study before/after lesson time. 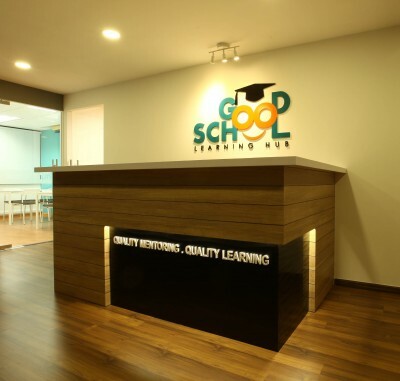 Good School Learning Hub not only provides quality mentoring and quality learning but also an extremely conducive environment to immensely enhance the overall learning experience. Our tutors are all ex-school teachers and experienced tutors that produces results. have always struggled in Chemistry and could not make sense of it throughout my first year of Junior College, resulting in sever under performance. However, Mdm Betty Low has helped me tremendously through her weekly lessons. She is meticulous in her teaching and ensures that she covers key concepts in a clear and concise manner. Initially, she started out by helping me regain my confidence through revising the content with me from the beginning. She then moved on slowly to cover new concepts, helping me keep slightly ahead of the school’s teaching pace. She takes the extra effort to source for questions from various sources so her students can have additional practice. Most importantly, Mdm Low points out commonly tested A level questions that are not listed in guidebooks and identifies trends in the past year papers, helping us anticipate the upcoming A level questions. Encouraging and flexible, Mdm Low would often answer questions I have for her outside of class through text message. Thank you Mdm Low for guiding me through and allowing me to improve! I never imagined that I could do so well for my O Level POA. Many thanks to Mr Zhang for putting in so much effort to teach and guide me. He also wants his students to learn with understanding and not just by memorizing, which I find excellent and very inspiring. During my lessons with Mr Zhang, he provided me with many exercises for me to practise. He taught me only for 3 months and I have improved tremendously from a poor result for my POA Prelims to an A2 for O Levels. Mdm Betty is a very patient teacher and is willing to go the extra mile to help her students in their studies. I joined her class only a few months before the A level and scored an U grade for my mid year exams in Chemistry. And it was really worrying for me as I'm from a lower end neighbourhood school JC. But with her guidance and patience, I see myself improving tremendously and I eventually gotten my A for Chemistry in the A levels. She is an encouraging teacher who made me regain the confidence in myself and I found myself loving Chemistry all over again. Thank you so much Mdm Betty. Clear, detailed. Simplify things well. Mr Tay cleared a lot of concepts that I couldn't understand in lectures. Clear teaching and easy to understand lesson. CA1 -> F9 to SA1 -> A2 (7 points improvement). He is easy to understand and is humorous. Kinematics was a topic that I had problems with. Mainly because the teacher at school was a trainee who was hard to understand. However, with Mr Tay's guidance, my kinematics improved. My physics grade improved from B3 in CA1 to A2 in CA2. The speed of the lesson and the methods taught. My math improved from E8 to A2.